Around 52,000 sq ft of shops, restaurants and cafes will sit alongside 4m sq ft of Grade A office space and 333 new homes. 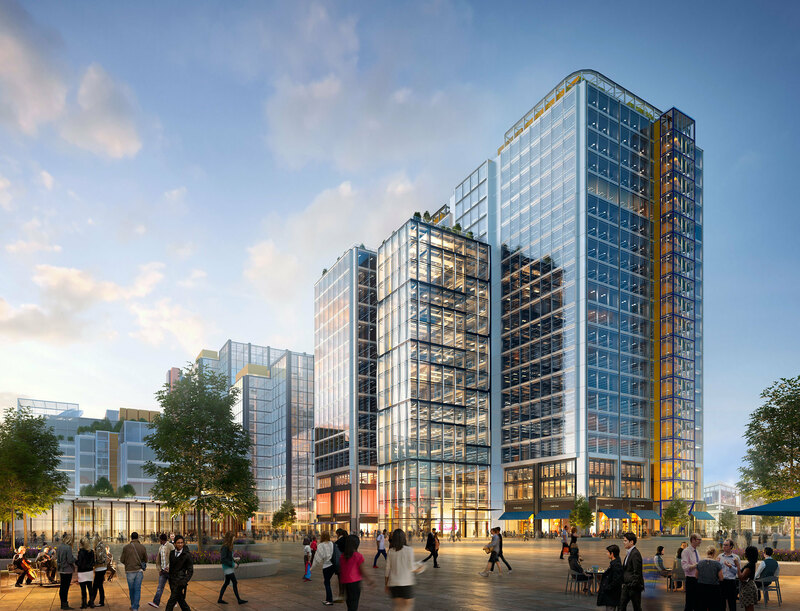 Almost 1m sq ft has already been pre-let, with the Financial Conduct Authority (FCA) and Transport for London (TfL) taking the first two commercial buildings, which were sold to Deutsche Bank and Legal and General respectively. A number of world-class institutions have already made plans to set up a permanent presence in the area. UCL East will be the site of a new university campus for University College London (UCL), while Stratford Waterfront features a new campus for the University of the Arts London, along with major new spaces for the Victoria and Albert Museum and Sadler’s Wells.